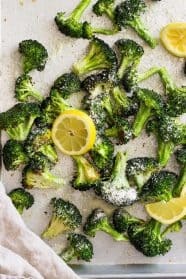 Lemon Parmesan Roasted Broccoli -is a super quick and easy side dish! 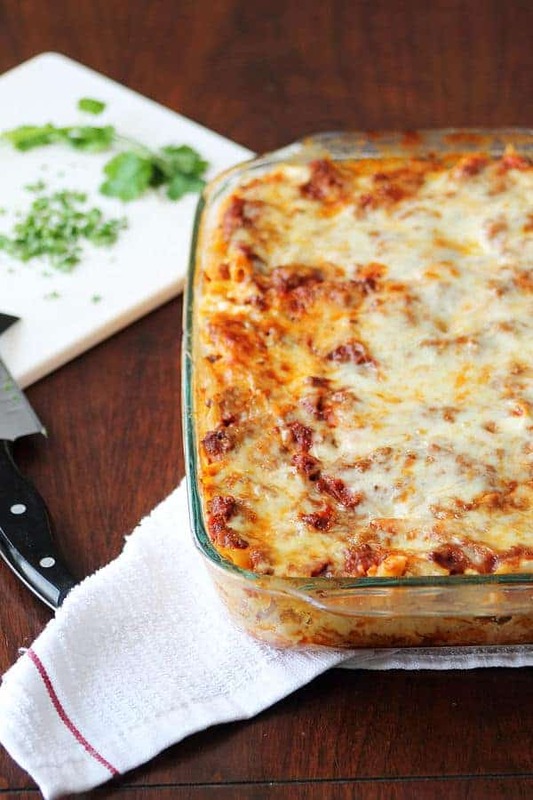 It’s full of flavor and goes great with so many dishes! I have found a new way to serve vegetables to my family at dinnertime and that is roasting them! And to be honest I’m in love and for many reasons!! I love how easy it is to toss some vegetables on a sheet pan, roast them, and have an amazing side dish with little fuss. Because I’ll be honest I am not the best at getting a side dish on the table. A few other great side dishes that you need to try are: Honey Garlic Roasted Carrots, Simple Roasted Green Beans, and Roasted Parmesan Potatoes. And I’ll be honest 99% of the time when I serve my kiddos broccoli it is steamed because I’m boring like that. And they like steamed broccoli so I’m not going to complain, only I am. I like a little variety to change things up so since I roasted green beans and we really liked them why not other veggies. Plus, as I mentioned it’s easy and I love easy! 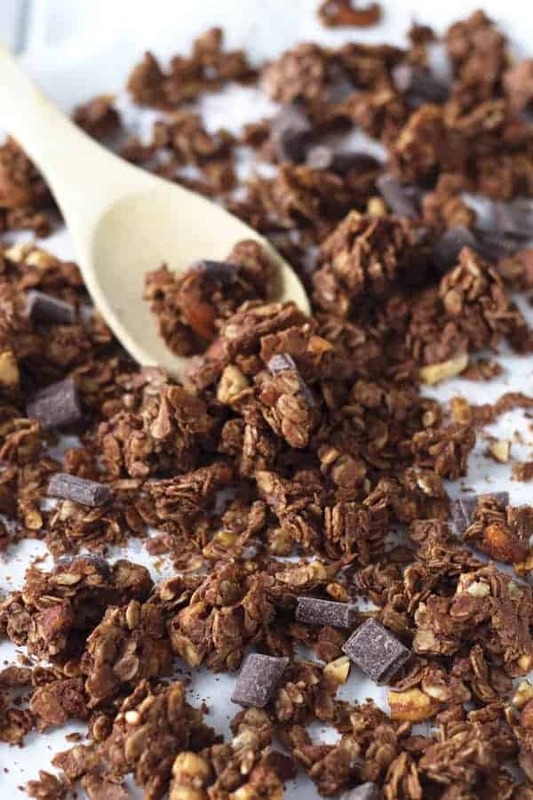 This recipe was first invented by Ina Garten a long time ago and people have been making their own versions since. 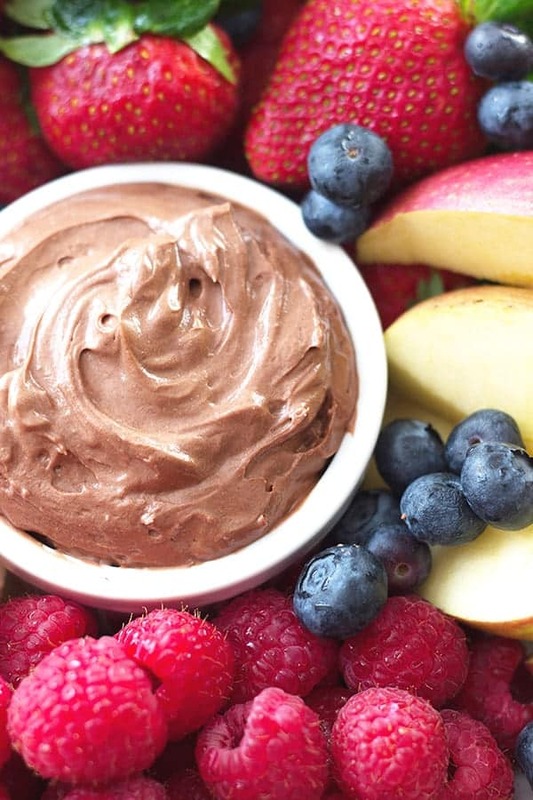 It is wildly popular and for good reason- it’s highly addictive! If you have a child that doesn’t care for broccoli then give this a try for sure! I chose not to use fresh garlic in this recipe (shocker I know!) because it can burn easily. I also used canned Parmesan (another shocker!) but feel free to grate your own because it’s even better that way! 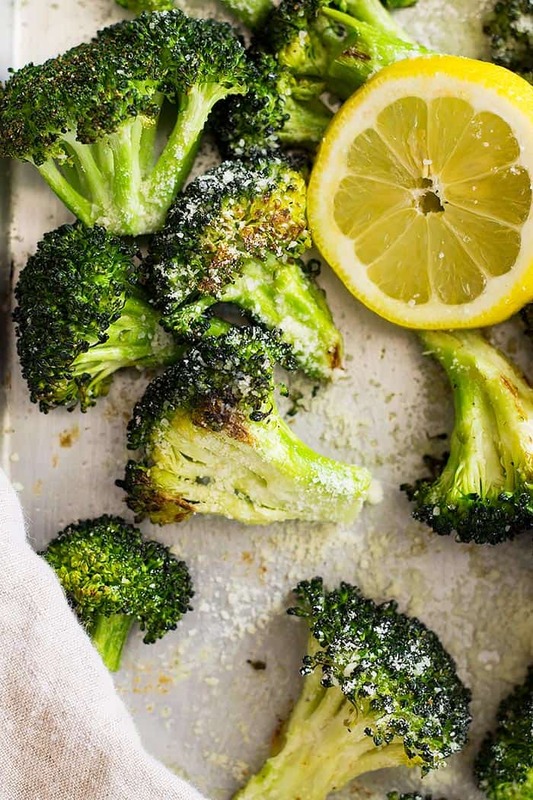 Make sure your broccoli isn’t super wet after you wash it. That way the oil will coat it and brown it better. 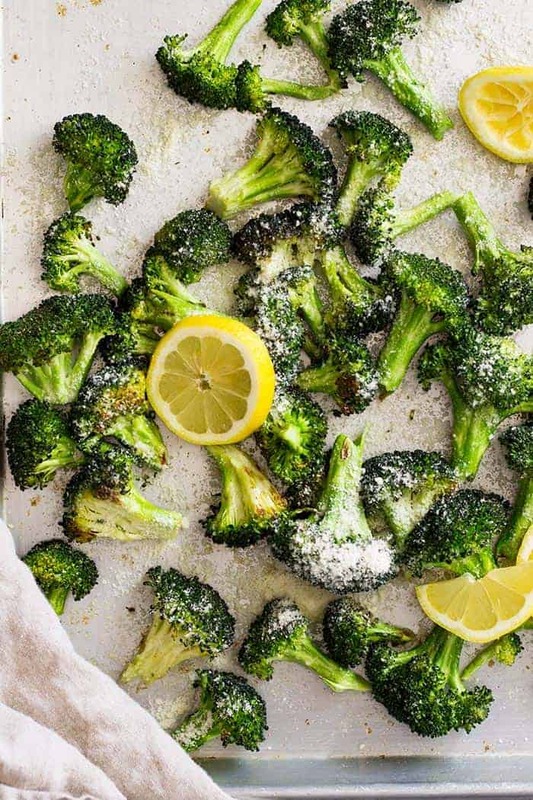 Pin this Lemon Parmesan Roasted Broccoli and save it for later! 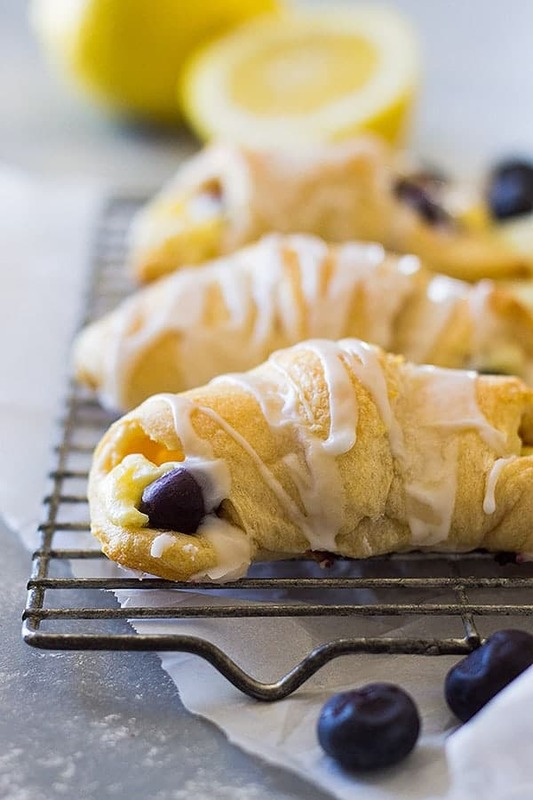 Place florets on a baking sheet. Drizzle with olive oil and sprinkle with garlic powder, salt, and pepper. Toss to coat. Bake for 12-15 minutes or until it reaches your desired doneness. Remove from oven and sprinkle with Parmesan cheese and lemon juice. Serve immediately. This recipe was first invented by Ina Garten a long time ago and people have been making their own versions since. It is wildly popular and for good reason- it's highly addictive! If you have a child that doesn't care for broccoli then give this a try for sure! I also used canned Parmesan (another shocker!) but feel free to grate your own because it's even better that way! 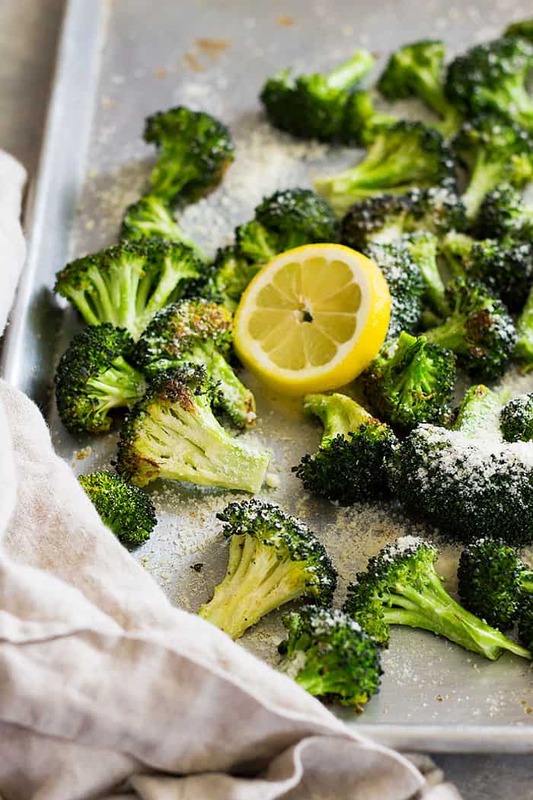 Make sure your broccoli isn't super wet after you wash it. That way the oil will coat it and brown it better.